Liverpool Cleaning Services - Liverpool Dubai offers specialized cleaning service to keep your residence, businesses and warehouses clean. 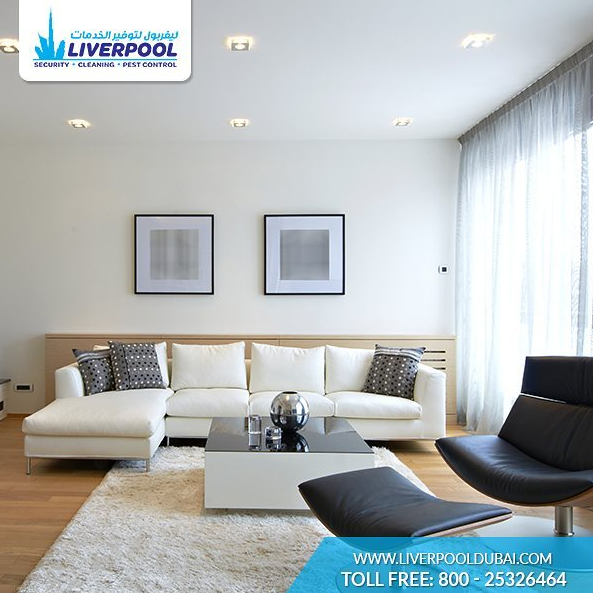 Initiating cleaning services in 2008, Liverpool Dubai emerged as an advanced cleaning service provider in Dubai, UAE. To serve huge customer base with same service standards to all sectors, we increased our workforce and now around more than 300 professional cleaning executives are working day and night to keep your assets clean and tidy. We support innovation and always find new ways to improve our service quality and ISO-9001-2008 certification proves our commitment for search of latest cleaning techniques. Being a member of British Institute of Cleaning Science UK, we explore new ways to improve cleaning services for commercial as well as residential sector of Dubai, UAE.